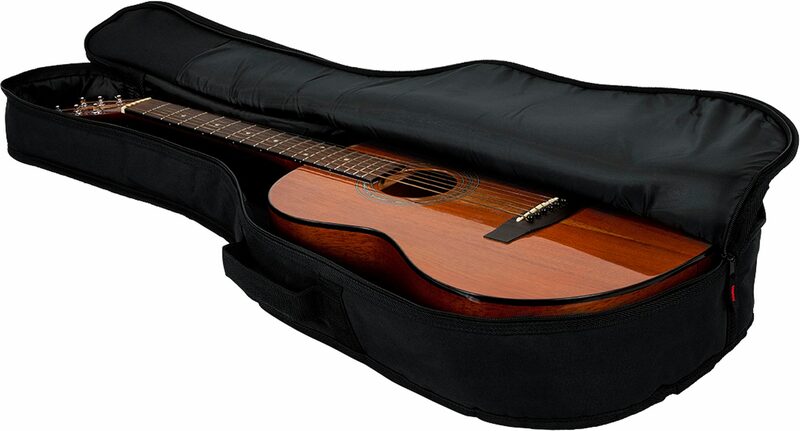 The Gator Lightweight Gig Bag for Mini Acoustic Guitars (GBE-MINI-ACOU) offers the rudimentary protection of a softshell bag as well as the heavy-duty durability of a Gator case. 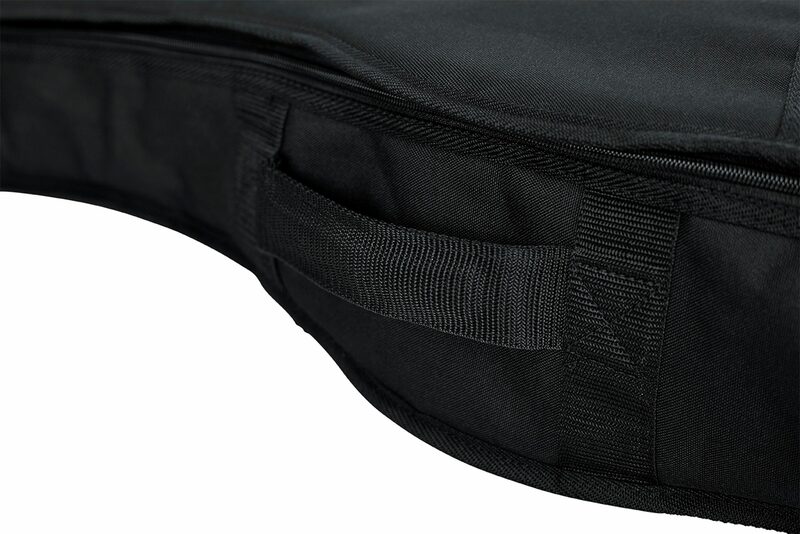 The rugged nylon exterior is resistant to rips, tears, and moisture while a top-to-bottom heavy-duty side zipper enclosure allows for easy loading and unloading. 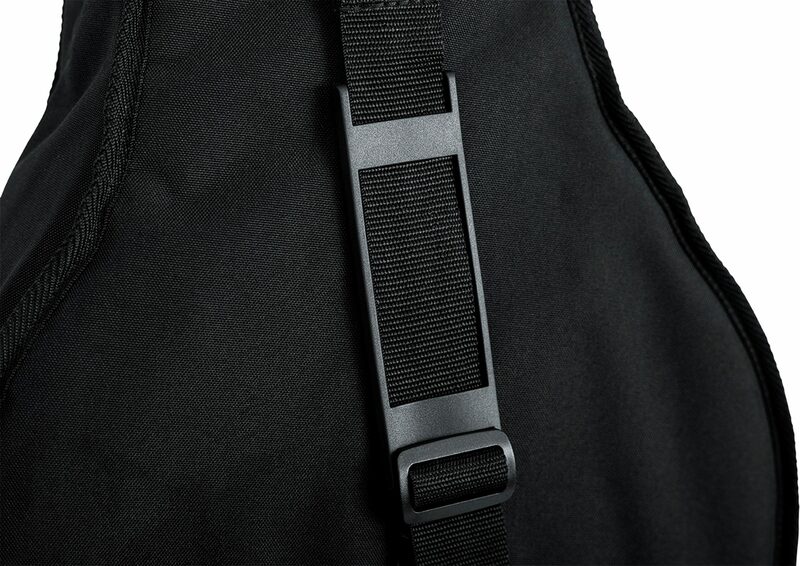 Inside, 10 mm of foam core padding provide extra protection. 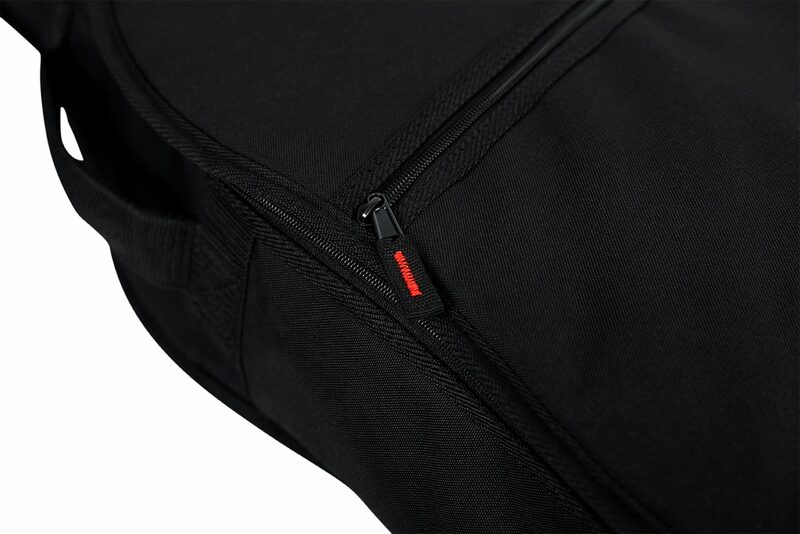 A single exterior zipper pocket provides ample space for your favorite guitar strings, picks, and accessories. 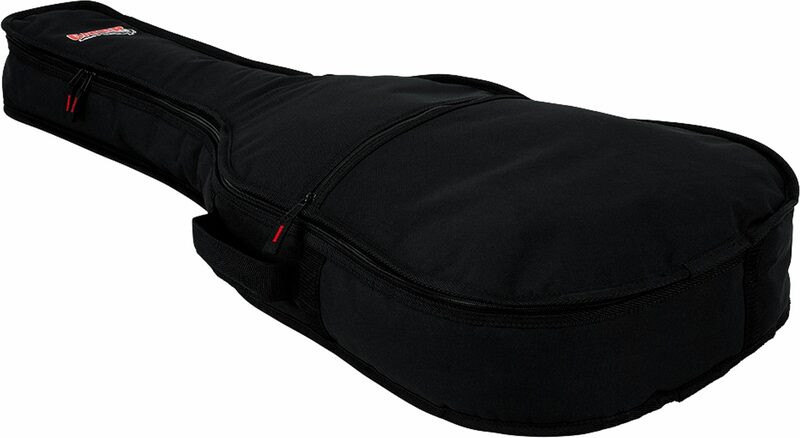 Keep your mini acoustic guitar safe with the Gator GBE-MINI-ACOU Lightweight Gig Bag. - Interior Body Length: 21"
- Interior Body Height: 3.5"
- Interior Lower Bout Width: 15"
- Interior Middle Bout Width: 13"
- Interior Upper Bout Width: 11"
- Interior Overall Length: 38.5"